Before I get to the 10 reasons, here’s a little bit about who I am, and what babywearing is. My name is Ciarán, also known as Ciarán the Babywearing Dad. I’m living in Ireland, a first time dad to a gorgeous little boy and an advocate for babywearing dads. Once I had been babywearing for a little while I discovered that there were not many proud babywearing dads in Ireland. I set up a Facebook page to promote babywearing and cloth nappies, and went to work letting dads know the benefits, that they are not alone and that there are wraps and carriers out there for dads. I have found that the main reason dads won’t babywear is that the slings/carriers/wraps are too ‘girly’. Mums are the main babywearers, so the majority of carriers are marketed at women but there are loads of ‘manly’ carriers available, many of which I have reviewed. Babywearing can be defined as “carrying your baby in a soft carrier close to your body as you go about the business of your life”, and this is one of the reasons why I babywear. Babywearing can be done using a wide array of carriers, broadly categorised as wraps, soft structured carriers (SSC’s) and ring slings. Whatever you use be sure to use them correctly so it is safe and comfortable for baby and parent, and always follow the babywearing T.I.C.K.S. (Tight, In view at all times, Close enough to kiss, Keep chin off the chest, Supported back). With all that out of the way I hope you enjoy my 10 reasons for babywearing! I didn’t start babywearing until my little man was six weeks old, and I found that until that point he preferred to be with his mum. Now, this may have been in my head but it always seemed like his mum could settle him better. Once I started babywearing however, he was always happy to be with me, I could settle him (or maybe the babywearing settled him!). He got to know my smell and the sound of my voice, he knew I was his dad and started to smile when he heard me and follow my voice around the room. Most parents know that skin to skin is great for bonding for mum and baby, but it’s also great for dads. Babywearing allows you to get skin to skin hands free. This one is very important! We all need a break from time to time, mums and dads. 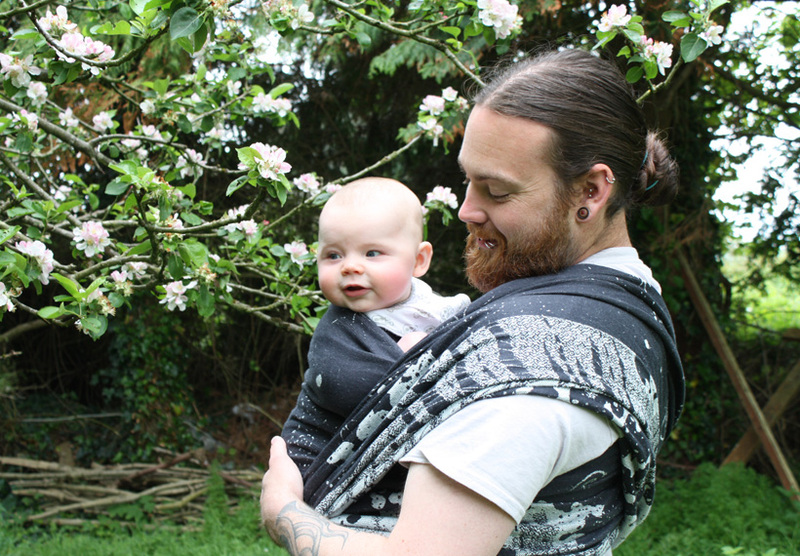 Babywearing allows dads to go do pretty much anything with a contented baby. Even if it’s just a walk with the dogs, both hands are free, and my baby has never lasted an entire walk in a carrier awake! I have taken my little man up hills, down to rivers, even just out to do the shopping while mum gets to have a lie in, a bath, just recharge, or do their own thing for a while. Nothing settles a baby faster than having them up close to you, all cuddled up snugly and feeling safe and loved. From teething to crankiness as soon as he sees a wrap or carrier coming he immediately cheers up, and once he’s wrapped up tight it’s a matter of minutes before he is calm and usually asleep! The upright position that babywearing provides relieves babies of colic and helps bring up wind. This one is my favourite. I love hugging and cuddling my little boy but sometimes as a dad I also need to do stuff. Babywearing allows me to do all the things that need to be done and cuddle my boy, plus I get to sneak kisses and cuddles all the time! I regularly babywear shopping, feeding the dogs, hanging out the washing, anything really! Everyone who babywears will testify that all wraps and carriers come with sleepy dust. Being warm, held tightly, feeling safe and secure and hearing your heartbeat, they can’t help but fall asleep. This is especially useful at nap times, when little baby is fighting sleep (because you know they will miss something really important! ), or when they are sick and need to get some rest. Every time I wear my baby now, I am carrying around an extra 10kg of weight, it’s like having a free gym. If I go out for a brisk walk I really feel it! With the right carriers the weight is spread nicely and doesn’t dig in or pull in anyway, he can be practically weightless on my back and shoulders, but it will make you break a sweat in a power walk! I honestly don’t know how parents get anything done without babywearing! If he is any bit clingy or upset and needs to be constantly interacted with or placated, babywearing allows you to do this while doing the washing up/ making bottles/ washing nappies/ playing Xbox or Playstation/ fighting zombies, whatever needs doing! Ever tried to push a buggy around a really busy shop, or up a mountain, or have to push an empty buggy and carry your child? Not easy and very cumbersome. Babywearing eliminates all these problems. You can easily walk around the busiest of shops, do some hill walking, and if your kiddo is of walking age but gets tired, a lot of carriers/wraps pack up small and can be kept in a bag until needed. Some people think that babywearing isn’t manly, or it looks girly. Is it girly or not manly to want to be a great dad?! 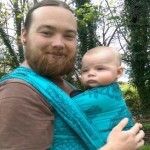 There are lots of carriers and wraps that look awesome and are ‘manly’ or dad friendly. You don’t have to wear flowers and rainbows if you don’t want to (I would and have, don’t mind it at all, just love having my baby close to me). There are loads of places that do custom carriers too, and you can get pretty much anything on them; I have a Batman one! Most people know that mums can breastfeed while babywearing, but you can also bottle feed. I often have to take a bottle out while walking out shopping and feed the little man, and it’s great. I still have one hand free and can continue shopping and he gets fed. Works great at home too when its nap time and he’s fighting it. A small bottle with wrap cuddles and he’s out like a light, then I can transfer him to the cot and I’m free to do whatever! If you are interested in babywearing and don’t know where to start or find all the options a bit overwhelming I would highly recommend going to your local sling meeting. These are great places to find like-minded parents and to get really good advice on how to use slings and carriers correctly. 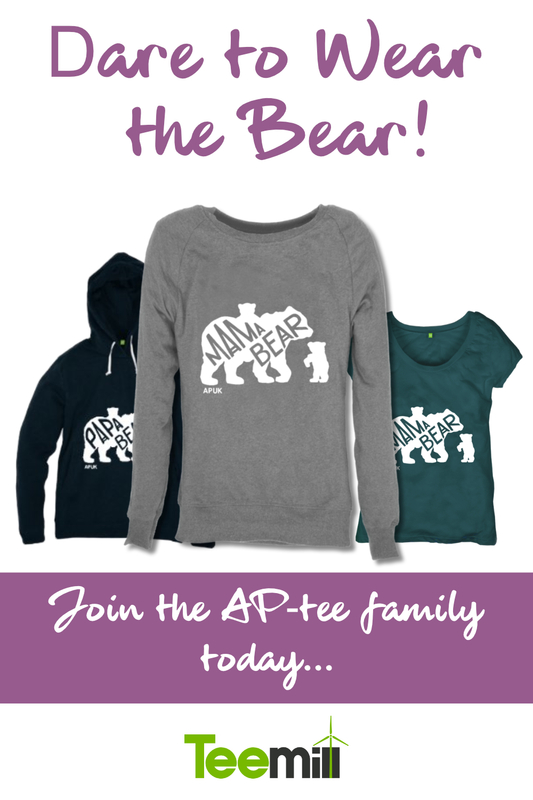 You can also find certified babywearing consultants who can help you learn to use the various carriers so you can find the ones that are right for you. There are sling libraries where you can rent carriers before you buy, which is great as some of them can be very expensive and you might find that you didn’t like that particular one at all! If you have any babywearing questions, don’t hesitate to contact me, I’m always happy to help or point you in the right direction.